Earlier this year, the transport authorities announced with a lot of fanfare that they had painted new road markings with village names all over the island. A few months down the line it seems the paint used was of cheap quality because a good number of the markings have already started to fade. Apart from the shabby look it gives to roads, it is also a waste of taxpayers’ money because the exercise no longer serves its purpose. Accidents happen but it would certainly help if we do not contribute to it. 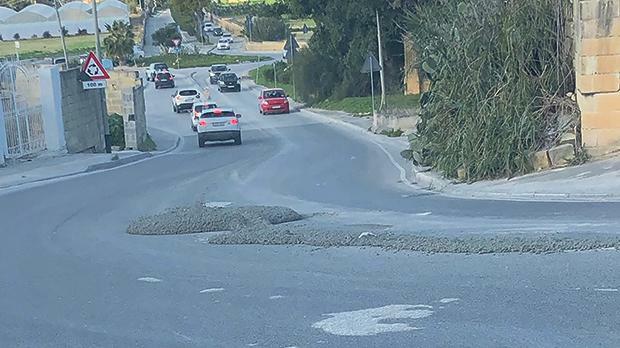 What looked like fresh concrete was dropped on the road known as It-Telgħa t’Alla u Ommu, limits of Naxxar. Judging by the length of time it remained there, it does not seem anybody thought about the hazards it presented to motorists. Parking issues have long been a problem, still, a modicum of respect for neighbours would do. It is not unusual to see motorbikes occupying white boxes not marked MC (motorcycles), evidently to ‘reserve’ space where to park one’s car on one’s return. The practice should be penalised if it is to stop. 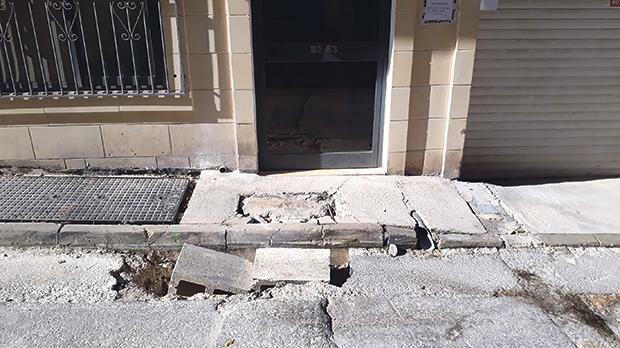 Lapsi Street, in St Julian’s, is in urgent need of some attention. A pot hole there is so deep that two blocks of concrete fit in it. It is unclear who placed the blocks there, but they surely make a statement. Question is: will the message get through? And, more importantly, will remedial action be taken? Now that the warm months are over and many shift to winter mode, it is unlikely that the island’s beaches remain in top shape even if they are not so popular. 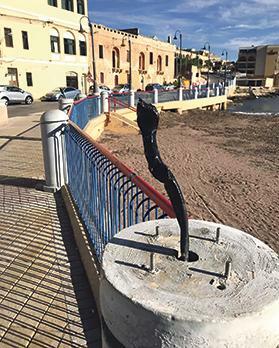 This is the case at St George’s Bay, in Paceville, where a street lamp there has yet to be replaced and an exposed cable seen to. It has been so for weeks notwithstanding the fact that this happens to be a very popular venue the whole year round.